Dyer Electrical Company is a retail lighting supply distributor showroom with an electrical contracting service business based in Southeastern Massachusetts on Cape Cod in Hyannis, MA that began offering local electrical repair service and installations to businesses and residents in 1910. 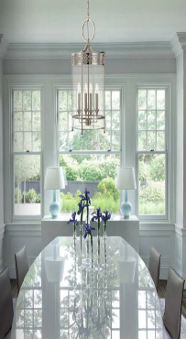 Products available to order from the downtown Hyannis, Cape Cod showroom consist of decorative lighting fixtures from top name manufacturers like Hudson Valley Lighting, Visual Comfort, Northeast Lantern, Troy Lighting, Quorum International, Holtkoetter, Pacific Coast Lighting,WAC Lighting, Allow LED, Lumilum, and many more. Dyer Electrical Company offers variety of quality lampshades, glassware, lamp parts, Cape Cod Onion lights and lanterns, vanity lights, decorative lamp finials, LED lighting, and decorative light bulbs on Cape Cod, MA within easy driving distance from Dennis, Yarmouth, Mashpee, Falmouth, Osterville, Hyannis, Sandwich, and Barnstable. Special orders for hard to find items are accepted. 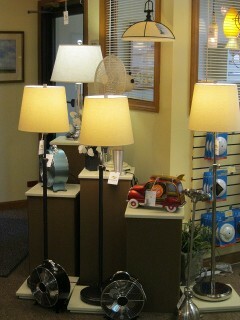 Lamp and lighting repairs are also handled on site. For those customers in need of remodeling or maintenance in the home or business, Dyer Electrical Company’s staff consists of Master Electricians, licensed electricians, and apprentices to handle all your electrical needs from basic to complete electrical systems. Electrical services include new wiring, remodeling, interior and exterior lighting installations, landscape lighting supply and installation, service panel upgrades, replacement of restaurant lighting fixtures and light bulbs, supplying instant rebate LED bulbs for commercial users, generator installations, and more. Why choose a local Cape Cod, Hyannis, MA electrician? When you make the decision to hire a local, Hyannis, MA electrician for services in your home or business, you are hiring an electrical contractor who is familiar with the Cape Cod area, product availability, and can network with a variety of other local Cape Cod service providors to get your project done to code and in a timely manner. You also support a member of your local community, who in turn supports the community you have chosen to make your home. Establish a relationship with a Cape Cod, Hyannis, MA electrical company that provides quality lighting and electrical products and services on Cape Cod for over 100 years. Dyer Electrical Co, a Hyannis lighting showroom with full service electricians serving Cape Cod, MA. Call 508 775 2525 for your lighting repair and maintenance. Remember Dyer Electrical Company not only sells lighting on Cape Cod, but will also schedule your installation with licenced electricians. We offer service and repair, new electrical installations, remodeling services, whole house generator installations, and LED lighting installations.